"Somewhere Between Obscurity and Oblivion"? It's a name I came up with a few years ago, after I graduated from college. I no longer had the support of a team and I was racing against the "Big Boys." In most races, it seemed that I was not fast enough to hang with the leaders, but I was too fast for the second pack. Thus, I was all by myself - skiing in oblivion is what I called it - in such an obscure sport. So that explains the clever title. But since that time, I have continued to improve. I am no longer skiing in oblivion. Instead, I am fighting for a spot on the U.S. Ski Team. And thanks to this website, I'm no longer in complete obscurity. But I've kept the title "Somewhere Between Obscurity and Oblivion" because in the grand scheme of things, that's where our entire sport is. In case you arrived here by accident, allow me to introduce myself. My name is Cory Smith. This page is primarily devoted to my life as a cross country ski racer. I grew up in Littleton, New Hampshire, in the heart of the White Mountains where, thanks to my parents, I developed a love for skiing and the outdoors. I graduated from Dartmouth College in 1996, after earning an enginnering degree and All-American honors in skiing. I went back during the off season in the years following and earned a graduate degree at Dartmouth's Thayer School of Engineering. Since then, I have been ski racing full-time as a member of Team Nordic Equipment,Inc.. As you might imagine, this venture is not very profitable. I receive equipment from my sponsors, but paying for travel, training, and all other expenses is all up to me. I pay some of the bills with a job at Infopia in Salt Lake City, UT where I am a software engineer. In the off season I work 35-40 hours a week (In addition to training full time) and during the winter I work whenever I can fit it in around racing. It's a job that allows me to work even while I am on the road training and racing. As far as skiing goes, I ski for The Utah Nordic Alliance club and I travel the country going to races all winter. I am currently ranked somewhere between 10th and 15th in the country. Ultimately I would like to make the U.S. 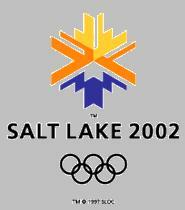 Ski Team and the 2002 Olympics in Salt Lake City. These goals are achievable, but only with years of training, financial support, and a little luck. I would like to thank all of the people and businesses that have contributed to my training fund. This would not be possible without your help. Over the past few years, my race results have been in direct correlation with the amount of donations I receive. When I don't have to worry about going thousands of dollars in debt, I'm free to worry about skiing fast. If you would like to contribute, check out the SPONSORS page for more information. Anyway, thanks for stopping by and there is plenty more to come so stop back soon.